The Library houses an exciting, naturally lit display space on the first floor. We welcome displays and exhibitions of work by students, staff, and others with a University connection. A digital archive of our most recent exhibitions are available from the links below. 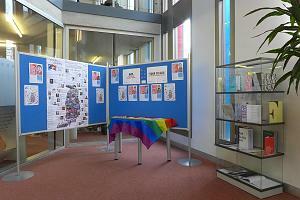 If you would like to display your own exhibition, whatever subject you are studying, please get in touch. 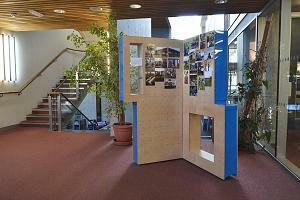 Details and dimensions of our display boards and cabinets are available in this Library Guide. Older exhibitions can be found in our archives.